This is clearly an indictment of Nepal. The editorial alleges that nine years after Maoist rebels signed a peace deal with the government of Nepal ending a decade-long insurgency that left some 16,000 people dead, the Himalayan nation is again gripped by political upheaval.It has been alleged that the newly promulgated constitution that took almost nine years to pass discriminates against the Madhesis, people living along the Indian border. At issue is the enfranchisement of these people who live in the southern parts of Nepal. They are poor, and they work in the fields owned by rich landlords. Madhesis constitute a sizable population of Nepal, but they complain that they are not adequately represented in government, society and education. 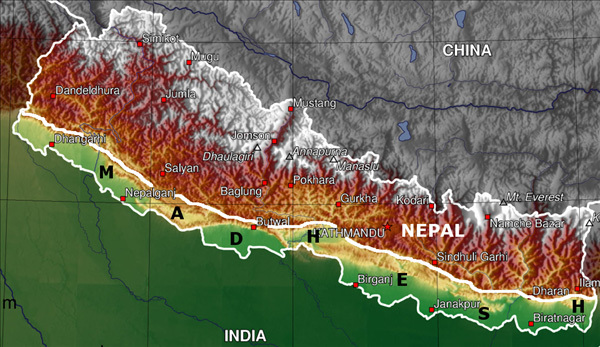 Until we address their grievances, Nepal can’t live in peace. The only way to heal the wounds is to include all the disfranchised peoples in the political system. The fuel shortages have made matters worse. As I said in my post earlier, the NYT editorial echoes my views on the current situation in Nepal and that it is easy is to blame someone else for one’s problems. That someone in Nepal’s case is India. But can we solve problems by playing the blame game? No. If we keep doing it the people will suffer more and our relationship with India willdeteriorate further. The only way to get out of this situation is not to depend on India for our daily needs. But can Nepal do that? I think not, given the geo-political situation of Nepal. Either we ourselves producewhat we need for our daily consumption orwe must work out our differences with India by diplomatic means. But stop playing the blame game.